Back during the summer, it was revealed that the producers of the James Bond franchise had been courting three potential directors to helm the next film in the series. One was David MacKenzie, the under-appreciated Scottish director of Young Adam and Starred Up, whose career has experienced a jolt after the critical success of his Oscar-nominated neo-Western Hell or High Water. (Here at The A.V. Club, we’ll gladly stand up for his actual American debut, the unfairly panned Ashton Kutcher vehicle Spread.) Another was Yann Demange, the French-born, British TV veteran who directed the Troubles-set action-thriller ‘71. 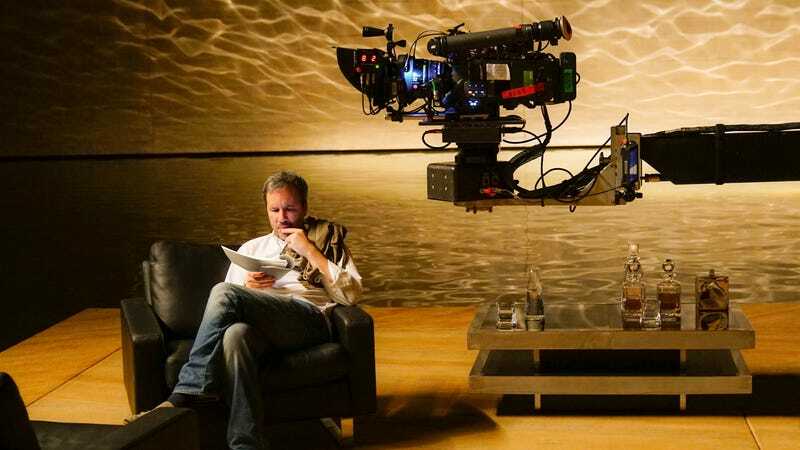 But most of the attention went to the third: Denis Villeneuve, the Quebecois one-time arthouse director who has reinvented himself as a cerebral genre craftsman with the likes of Sicario, Arrival, and this year’s Blade Runner 2049. According to an interview on the newest episode of the podcast Four Quadrant, Villeneuve is still interested in making a Bond film with Daniel Craig, even as he prepares his passion project, a new big-screen adaptation of Frank Herbet’s landmark sci-fi novel Dune. Given that Blade Runner 2049 is likely to follow the original’s lead in losing a bunch of money, the timetable for the (potentially very expensive) Dune remains uncertain. It’s rumored that Craig, who intends the next Bond film to be his last go at the role, has named Villeneuve as his pick for the job. The as-of-yet untitled film is due to hit theaters in November 2019.